Taking care of the bottom piece is quite easy and gives access to all of the internals but upgradability, as usual, is quite limited. In fact, you can only change the M.2 SSD and nothing else. 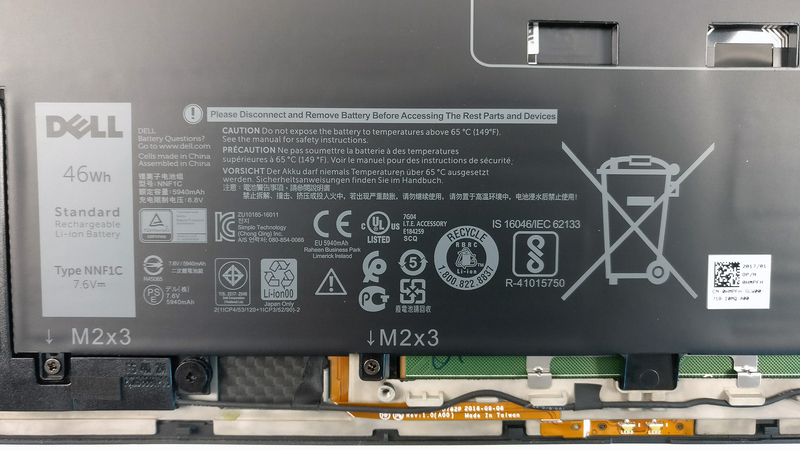 You have to remove all the Torx screws around the bottom and the one under the XPS-branded lid. 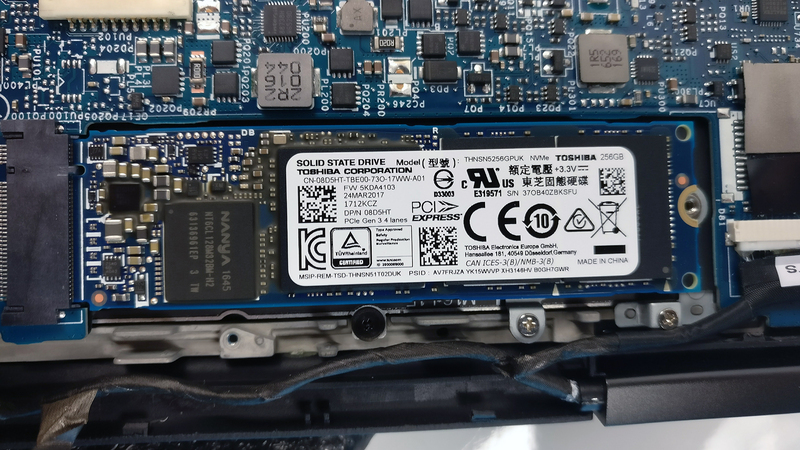 The motherboard supports 2280 M.2 PCIe NVMe SSDs and our unit arrived with a Toshiba THNSN5512GPU7 SSD with 256GB capacity. 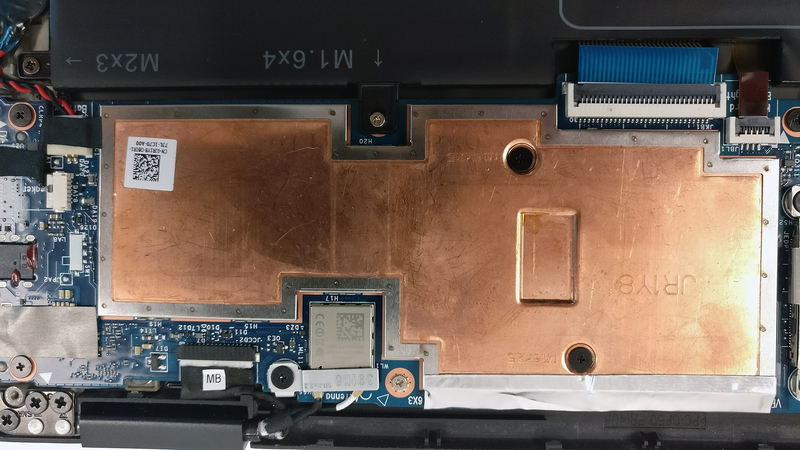 Unfortunately, the 8GB DDR4-2400 memory is soldered to the motherboard and cannot be upgraded but the usual Intel 8265NGW Wi-Fi module is in place. The battery is rated at 46Wh and appears to be good enough for the Full HD version but lacks the endurance for the QHD+ variant. 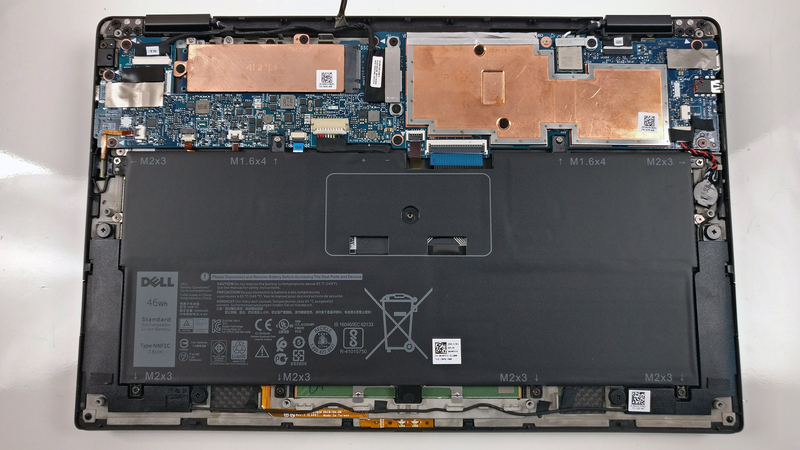 The Core i7-7Y75 used in this device allows a passive cooling system and here, it’s just a big copper heat sink covering the whole SoC. 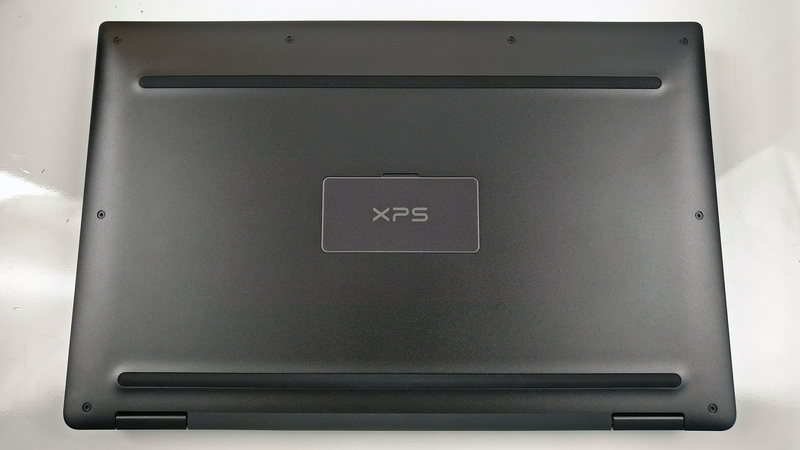 The full review of the Dell XPS 13 (9365) can be found here.